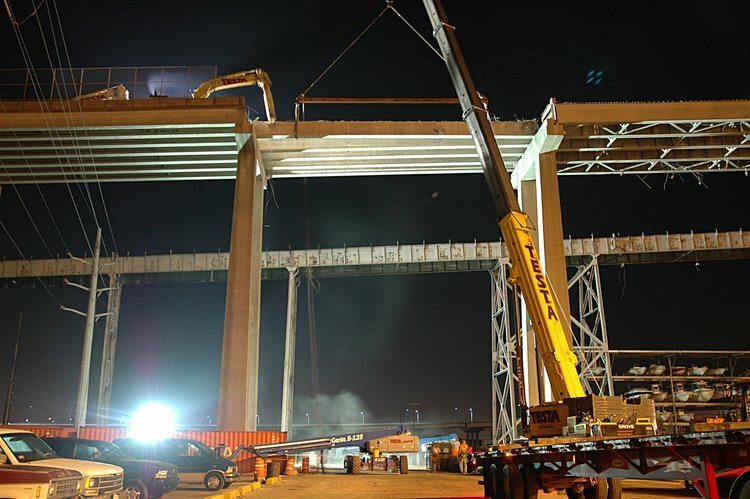 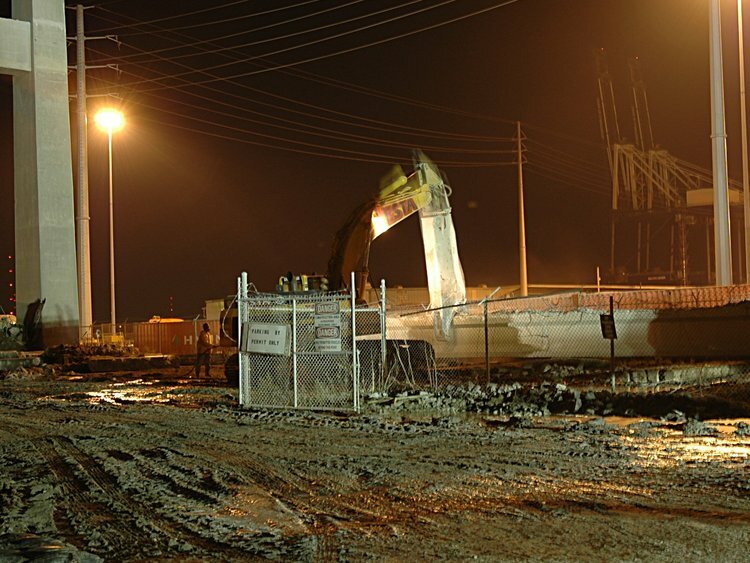 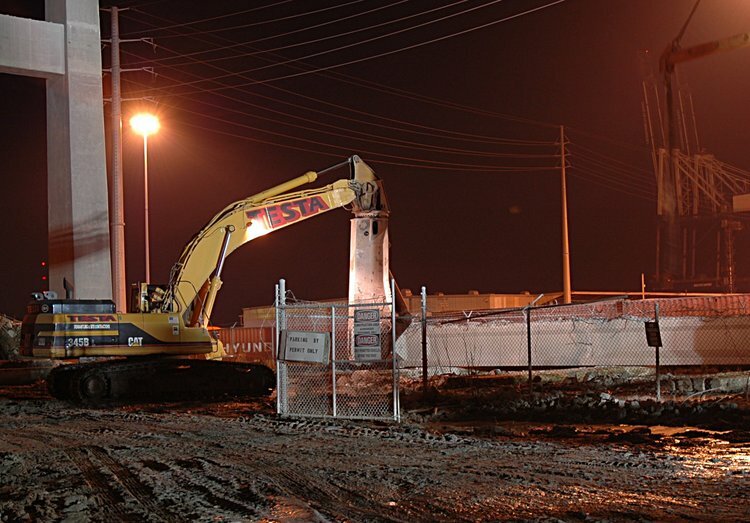 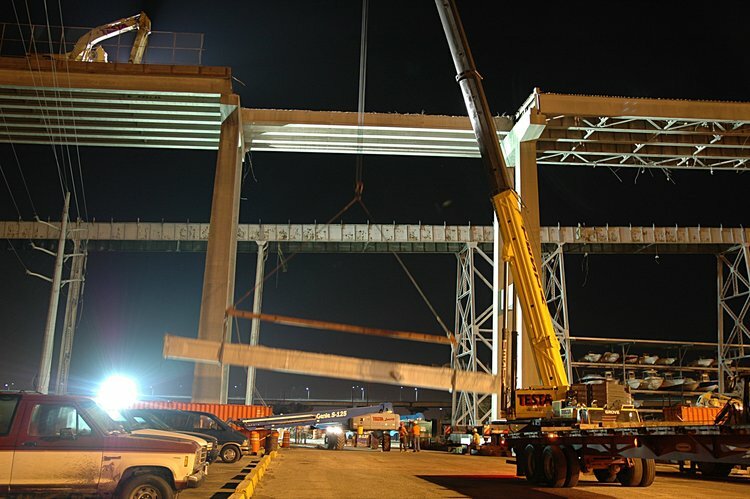 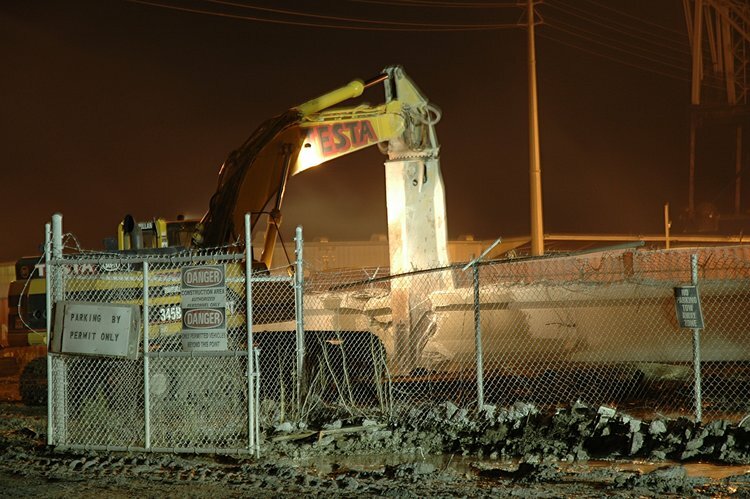 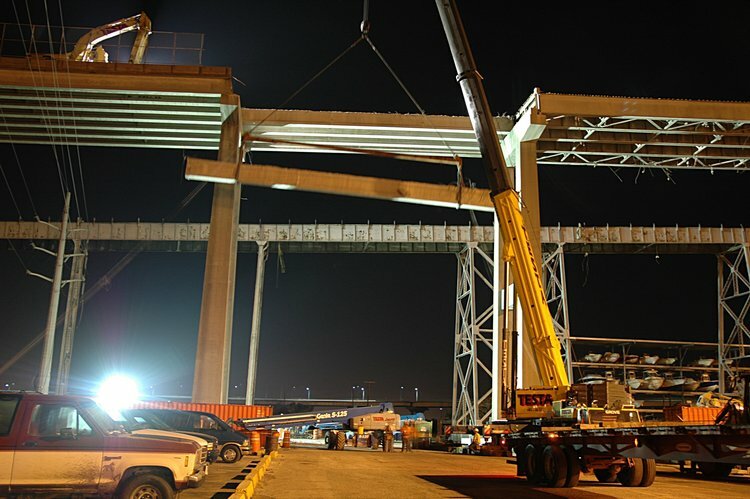 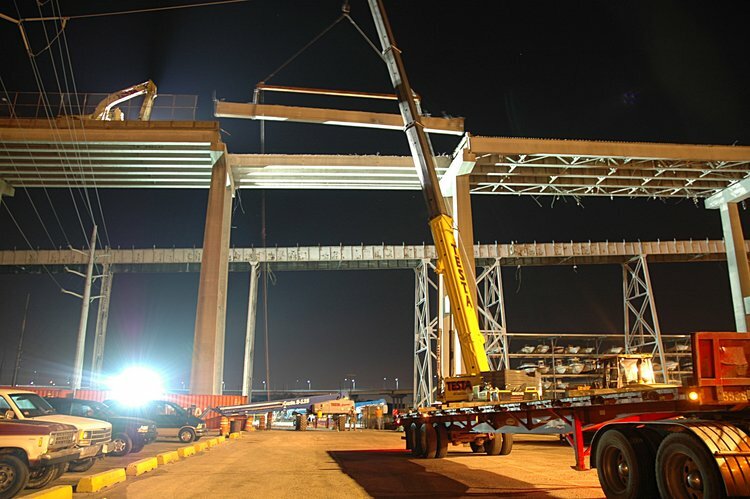 This is a continuation of the story of removing concrete girders. 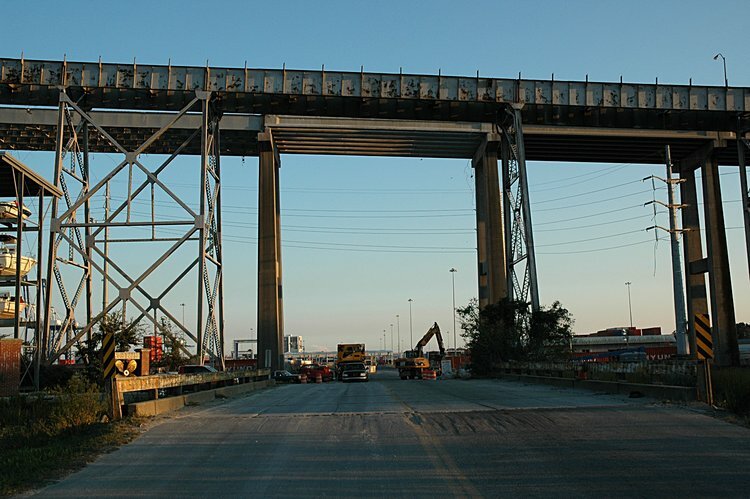 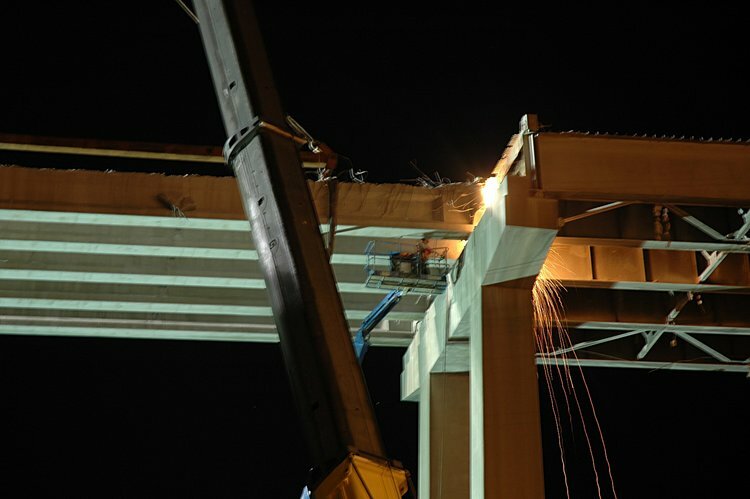 I first watched this while the I-26 overpass was being removed. 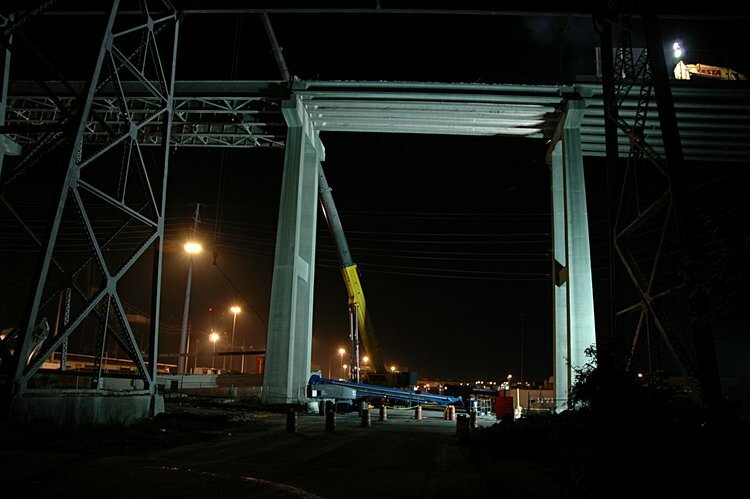 Here is the setup - the Grace and Pearman overpasses (over Immigration Drive) and a few guys starting to set up the crane. 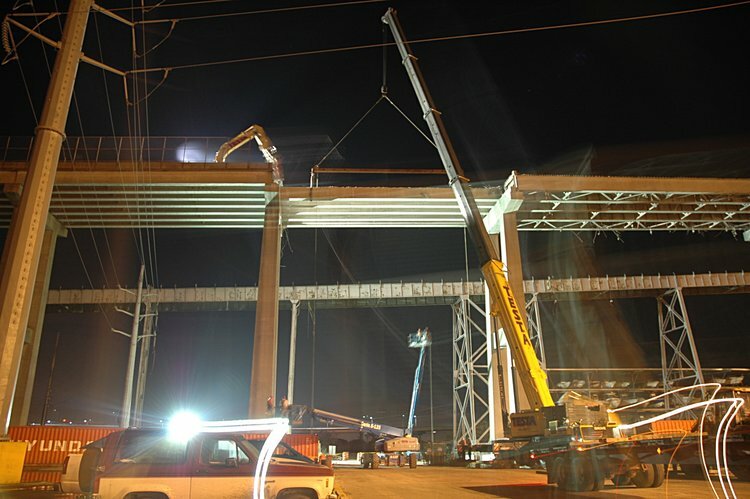 I stiched together a video from a group of photos showing the crane lowering a concrete girder. 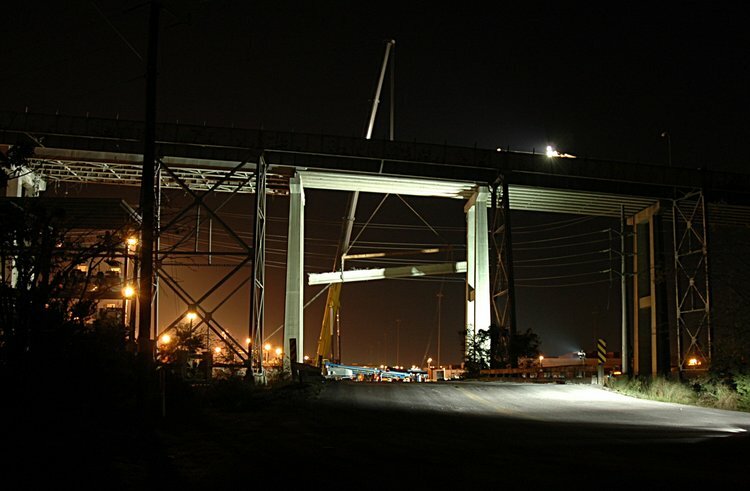 (15 Mb mpeg). 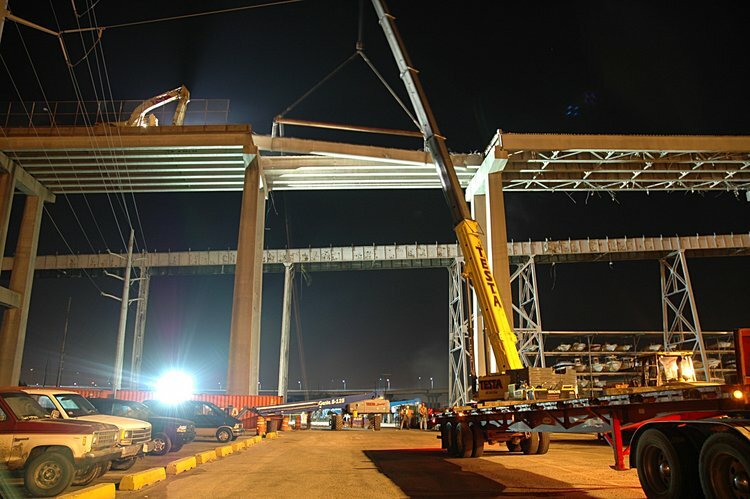 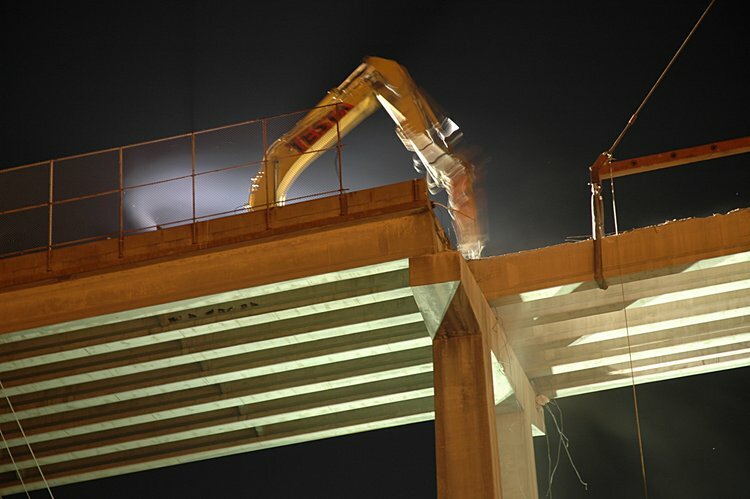 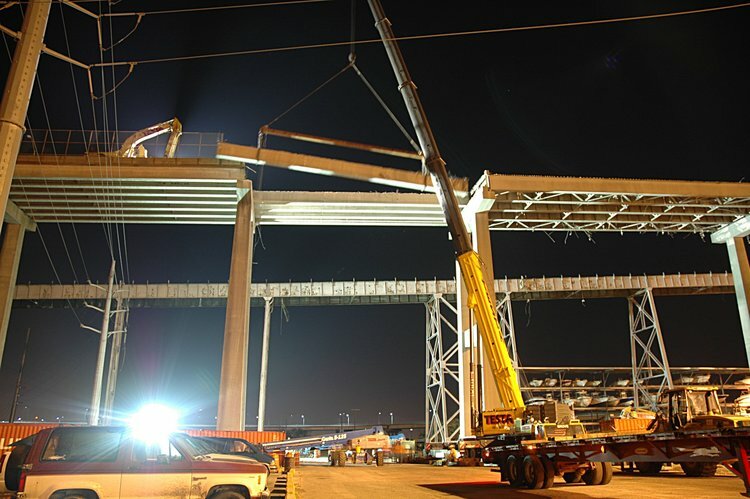 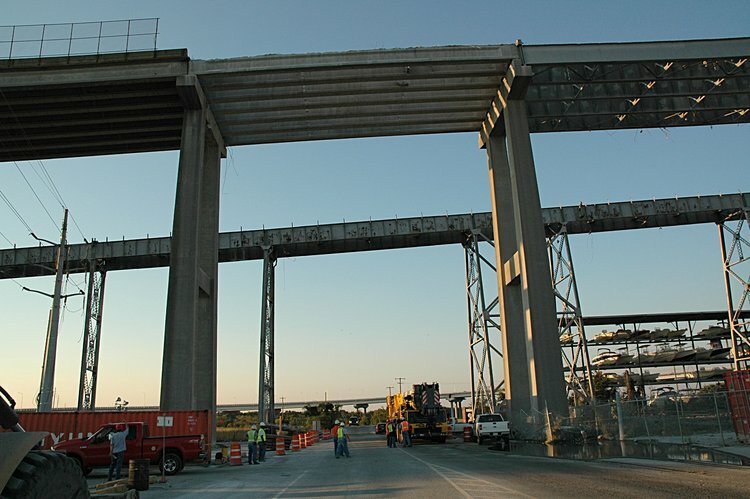 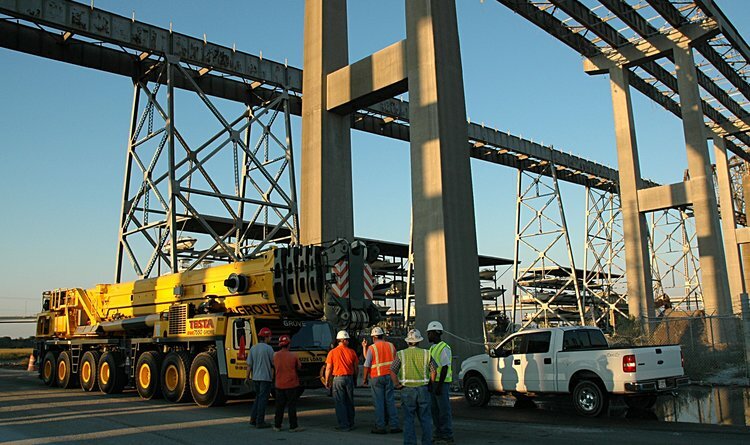 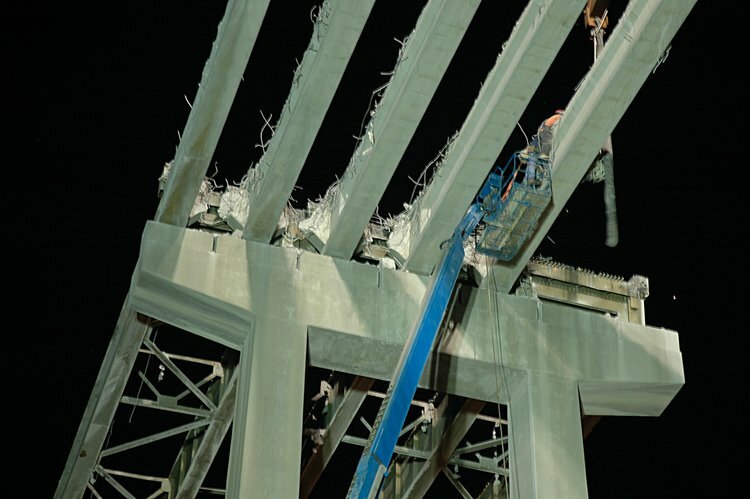 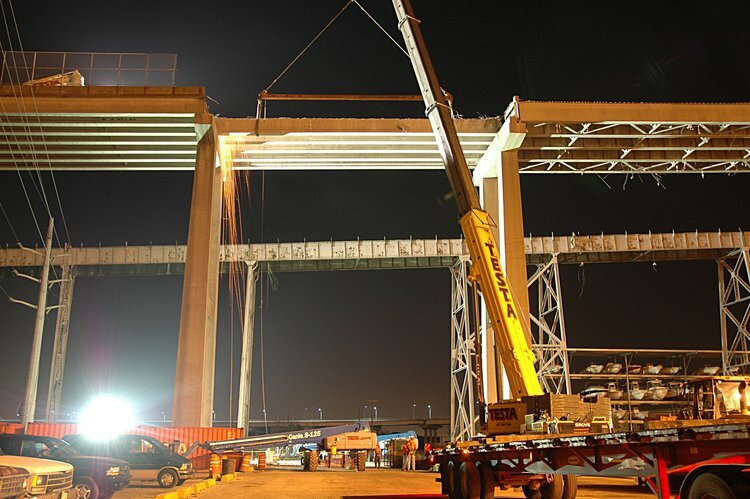 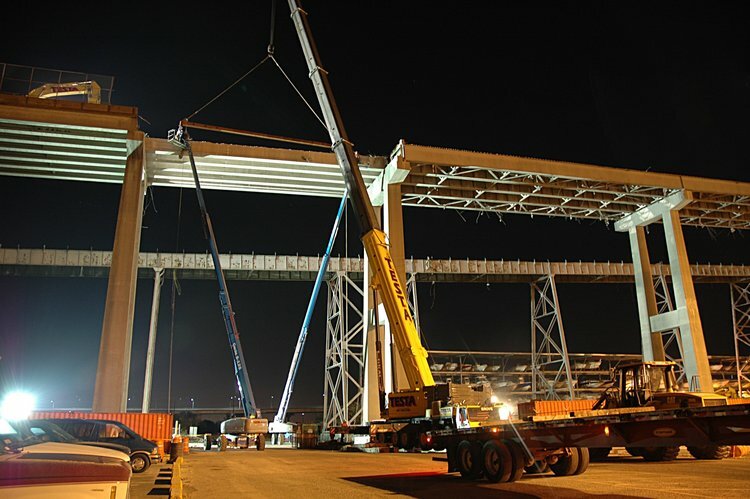 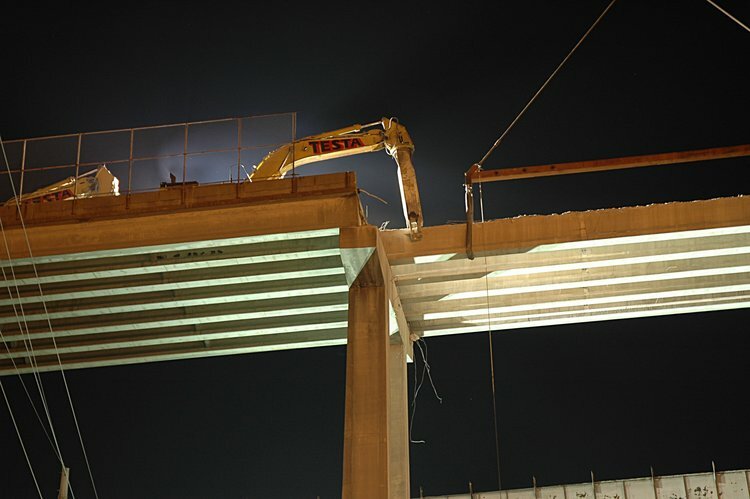 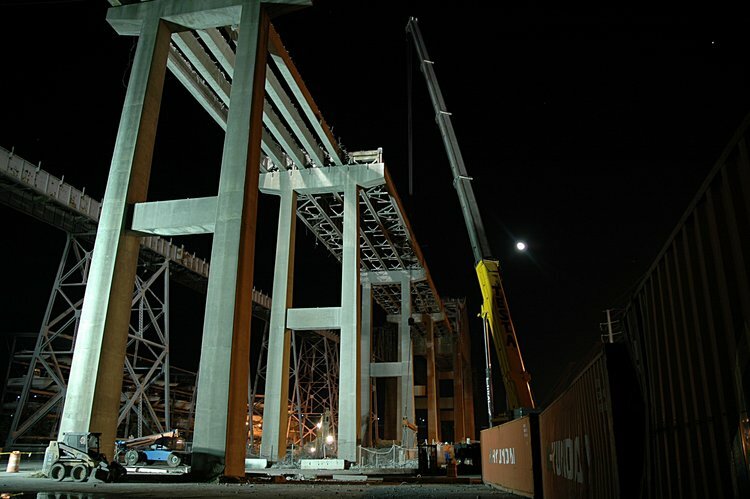 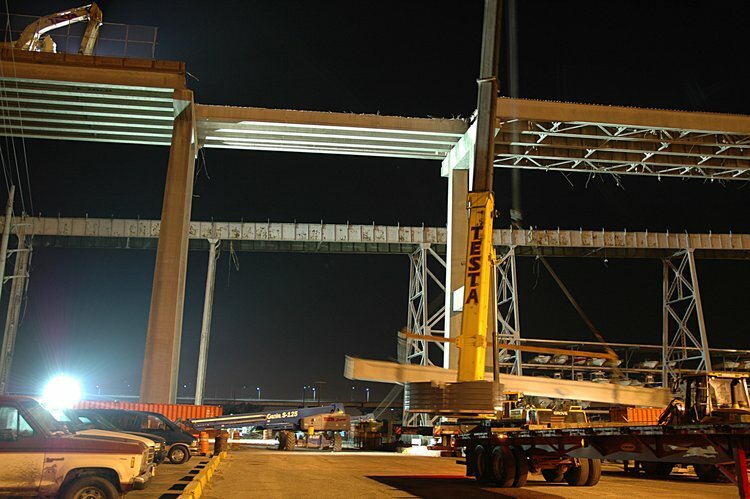 Once the girder is positioned, the shear is used to break up the girder into smaller segments. 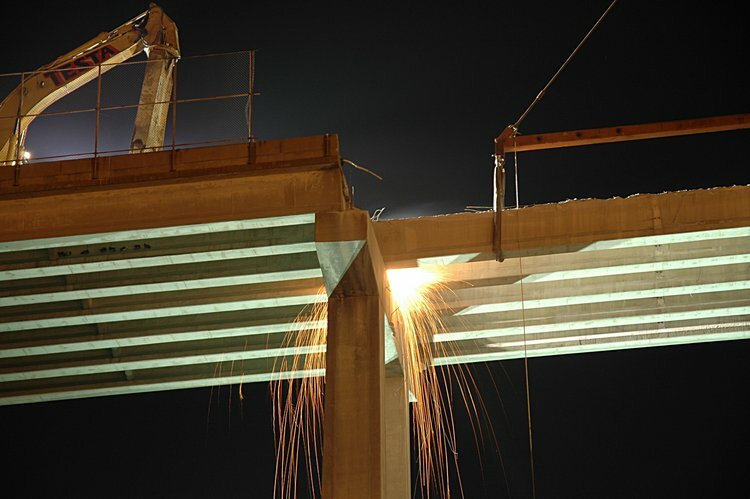 and then the right guys cut through the girder attachment over the supporting pier.